Are You Moving to Adelaide or elsewhere in South Australia? Are You Moving to Brisbane or elsewhere in Queensland? Are You Moving to Darwin or elsewhere in the Northern Territory? Are You Moving to Hobart or elsewhere in Tasmania? Are You Moving to Melbourne or elsewhere in the Victoria? Are You Moving to Perth or elsewhere in Western Australia? Are You Moving to Sydney or elsewhere in New Sale Wales? If you are looking at moving and want a cheaper, more cost effective way of getting your belongings moved to your new home, then back loading is an option you should definitely consider. To find out more on how we can help you save on your move, call us or send us an email, and one of our friendly removalist specialists will get back in touch with you to give you a better idea of what will be involved. How Can Backloading Save You Money? Before we answer this question, we need to explain what backloading actually is. Generally, when a removalist is hired to move your furniture and household items, it is a one-way journey from the current home to the new one. This invariably means that the removals truck will be coming back empty. Ideally the removalist will want to have a load to bring back with them as they can then cover the cost of the fuel and driver’s wage more effectively. Because we would prefer for our trucks to be full on both legs of the journey, we are able to offer discounted moving rates for backloading, as this provides a win-win situation for both of us. How Do You Get Started With Backloading? By telling us where you want to move from and to, how much volume you need to move, and what dates you have in mind for your removals, our removalist team can work out the best fit in terms of cost and time for you, so that you can save of the cost of your removals. 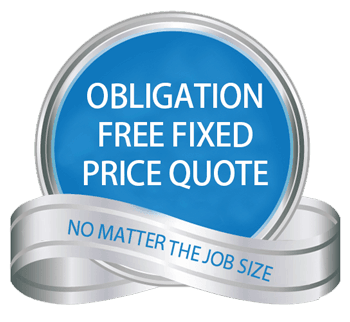 Contact us today for your obligation-free quote. Why Trust Us For Your Furniture Removals? Here at Aarons Removals, we have been operating in the removalist industry for over 40 years. Our fleet of vehicles is regularly maintained, we take every precaution with your belongings, and our removalists are experienced, professional and courteous. We know only too well that moving house can be one of the most stressful experiences, and we go the extra mile to ensure that your move goes smoothly, and so that you have confidence in knowing that your goods will be transported safely. Contact the Aarons Removals team today. Our details are listed below.